Chicago renters who rely on landlords to keep their furnaces in working condition may be protected under city law, should their heat go out at the worst possible time. According to city code, the temperature inside a rental residence is required to be at least 68 degrees from 8:30 AM to 10:30 PM, and at least 66 degrees from 10:30 PM to 8:30 AM, between September 15 and June 1. Renters experiencing heating problems are encouraged to contact 311 to file a complaint, according to a spokesperson from the Chicago Department of Buildings. The city will inspect your unit and take action against delinquent owners. Landlords face fines of up to $500 per day, per violation, for each day they do not supply adequate heat. 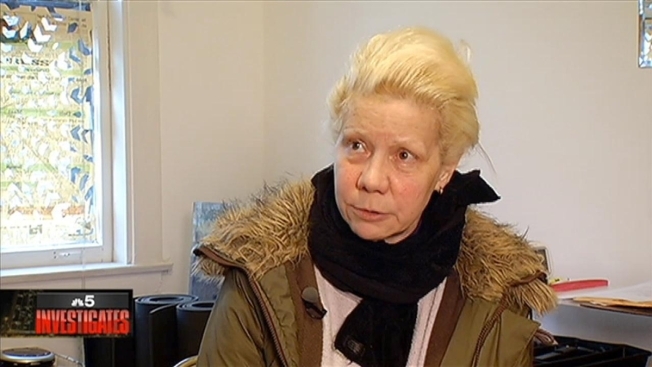 Tenant Norine DuPee contacted the city in December after experiencing problems with her furnace. She said it was the second winter in a row her furnace had not been working properly and that her landlord had not made adequate repairs. DuPee’s apartment windows also were not shutting properly. Last year, DuPee took her landlord to court over the issue and a settlement was reached. She received a partially reduced rent. But in December, a city inspector issued the landlord a building code violation after it was determined that the furnace was out of service and disconnected by the gas company. The landlord was also issued violations for a missing carbon monoxide detector and failing to maintain windows to completely exclude rain and substantially exclude wind from entering the premises. The violations were forwarded to the Department of Law, where the case was scheduled for Housing Court-Heat Call, also known as “heat court”. The landlord told NBC 5 Investigates the first time he heard about DuPee’s recent heating complaint was Dec. 29. He said he has since installed a new furnace. A city spokesperson confirms the new furnace and said repairs were made to DuPee’s apartment windows. The landlord appeared in heat court Thursday and is due back Jan. 15. According to a city spokesperson, inspectors have visited DuPee’s apartment since the new furnace was installed and took a reading of 68 degrees. The Metropolitan Tenants Organization encourages renters who are experiencing heat concerns to talk to their landlords. The organization said it is helpful for renters to document the process, take photos of thermostat readings and contact 311. “Things can roll much quicker especially if they feel like there’s a real danger to human life,” said MTO executive director John Bartlett. Since Sept. 15, the Department of Buildings said it has completed more than 3,400 “no heat” inspections. To date, 114 court cases have been filed by the Department of Law, impacting 887 residential units and a Heat Receiver has been appointed for 33 properties, impacting 149 residential units. Renters are being warned not to use their stoves for heat, which may lead to fire and carbon monoxide hazards. For more information on renters heating rights in Chicago, contact the Dept. of Housing’s Chicago Rents Right Hot-line at 312-742-RENT or click here.